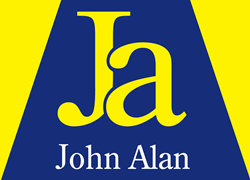 John Alan are delighted to act as sole agents in the sale of this attractive 3 bedroomed end of terraced house situated on a corner plot convenient for all amenities. The property is offered with immediate vacant possession and although requiring some updating decoratively, this would make an ideal first time purchase or indeed for a buy to let investor. Among the benefits these include gas fired central heating, double glazing, ample off street parking, room to extend subject to planning permission and no chain.